After his house was affected by the Brisbane floods, builder Todd Miller of ZieglerBuild set about a massive construction project of the scale that belongs in TV shows such as grand designs. Alongside his artist wife, he designed, planned and built the largest shipping container home in Australia, a mansion style property constructed from 31 individual recycled shipping containers. The building had to be cost effective and excellent value for money. 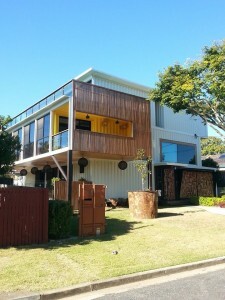 The shipping container home eventually sold under contract for a $1.5 million.